Boy am I going to miss the 3 pairs of socks, long johns, warm pants and a few tops with the coverall on top of that. Add a down coat and 1 to 2 hats a scarf and winter boots to the attire and you have my winter painting attire. It was exhausting! Come on Spring!!! 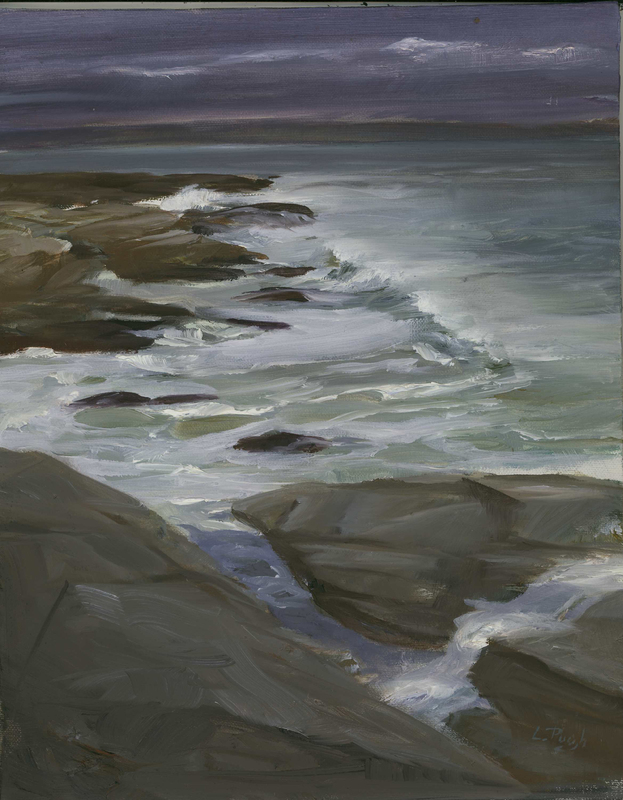 This is a painting I did at Beavertail in Jamestown. A favorite place to paint. I have always enjoyed your Wave paintings and the Beach/rocks as well.